With the changes in the law for operation of AWPs, Expolonia 2000 - Poland's Amusement & Gaming trade show is expecting a strong turnout. 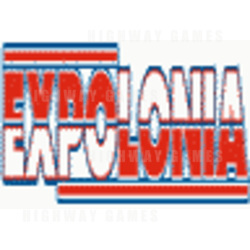 Expolonia 2000 will be held from 12 to 14 September at Sluzewiec - Tory Wyscigow Konnych, Pulawska Street 266, Warsaw, Poland. According to Bruno Agency, the organiser of Expolonia, there will be around 60 companies taking part in an exhibition area of approximately 2,500 sq mts. President of Poland, Mr Kwaszniewski, signed the amendment, which does not solve the skill machine question but is widening the possibilities of opening new, licensed arcades which will be able to absorb thousands of new AWP machines. This is a concrete chance for producers who take part in Expolonia. The recent reduction in income tax is also a good indication for the development of the industry and bodes well for the success of the show.A new act will probably emerge after the parliamentary elections. According to the influential Polish political magazine, Wprost, if the MP's amendment is passed next year, the new bill could cause a rise of more than 800 casinos, 1,000 gaming arcades and 900 bingo halls in Poland. This number may be exaggerated, but is close to the truth. During Expolonia, the annual meeting of the Polish Chamber of Operators of the Amusement Industry will be held on 13th September. The exhibition will become a forum for all the entities involved in the Polish and Eastern European gaming industry. For further information contact MD Associates, Enterprise Centre, Melitta Road, Kildare, Ireland. Phone + 353 (0)45 521190. Fax + 353 (0)45 521198.